Here’s something that you might’ve missed if you haven’t been looking carefully. 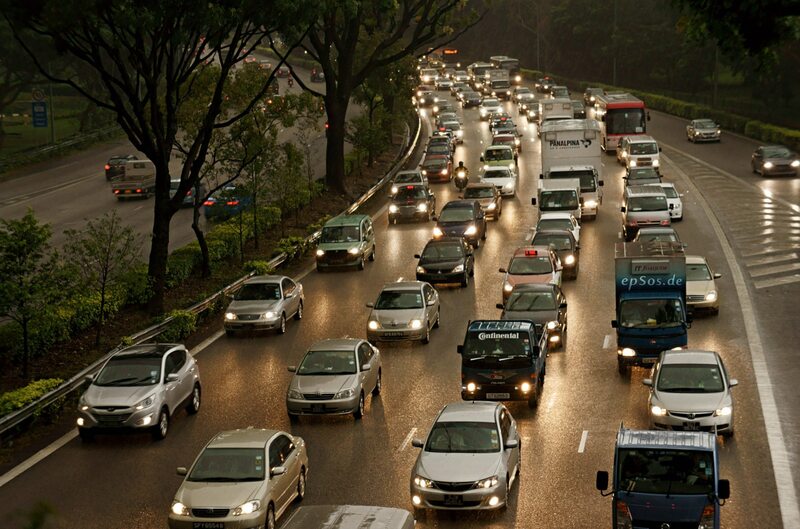 Did you know that Singapore’s minimum age requirement to be a taxi driver is 30? It’s almost hard to recall, but yes, it’s true. Growing up, before Grab and Uber hit our shores, our roads were populated by older gentlemen who found a profession in driving cabs. I have a few young friends who are Grab and Uber drivers, and I’ve always been intrigued by why they’ve decided on that as a career. My experience watching society’s paradigm of the “taxi uncle” made me believe that it wasn’t a job that young people found much interest in. A fresh-eyed graduate still in university, my friend, whom we’ll call James, is a part-time taxi driver who works with both Grab and Uber to get money to pay his school fees. He tells me that he enjoys the high profit margins, the flexibility of the job, and also the ability to make new friends along the way. Since its inception, companies like Grab and Uber have greatly benefited ordinary citizens like you and me. Hate to stand along the streets and wait? Call an Uber. Want to pool? Call an Uber. These little luxuries were not available to us before they arrived, so imagine my surprise when it was made known to me that the government, instead of allowing this wonderful enterprise to grow, has decided to clamp down on this booming industry. Why would they do that? Doing some research, I found that the issue that we are facing is remarkably similar to the “pirate” taxis of the 1950s. Pirate taxis were the term to describe private cars that operated as taxis without the meddling hand of the government. They picked up passengers at negotiated rates and were often touted as economically beneficial and convenient. The era of pirate taxis was a period of flourishing. What did Singapore do in response to this? If you’re shocked, you’re not alone. In the very same debate above, Mr. Lim Choon Mong, father of current MP Ms. Sylvia Lim leaves us with this very quotable gem. Indeed, if public services can sate the demands of the public, there would not arise a need for private services. Unfortunately, that is not the case, and despite the constant calls for improvement, public taxi services are unable to match the efficiency nor quality of private hire cabs. What happens when regulations trump common economic sense? On the surface, whilst the idea to protect citizens via the means of strict regulation has been always been thought of positively, what actually happens when lawmakers enforce such regulations to “promote competition” is that it creates an artificial barrier to entry; it entrenches the current status quo and makes it harder for entrepreneurs to go into the industry. Entrepreneurs will also find it harder to stay in business given the elevated requirements and operating costs. Some very prominent examples include the telecommunication companies regulated by the Infocomm Development Authority of Singapore (IDA). Companies like Singtel, Starhub and M1 have very little incentive to improve the values that they offer – since any competitor that might want to come into the industry would have to pass the bureaucratic red tape of the IDA first. What this eventually leads to is less value-for-money for the consumer. If one questions the veracity of this claim, simply observe the mass migration from existing telecoms to new entrant Circles.Life, and of how the established companies scrambled to maintain market share upon its launch. The discerning can also see that this is not merely isolated to telecommunication companies – Uber and Grab consistently have promotions because they’re competing with one another for consumers to use their app, once again clear evidence that competition leads to better outcomes for consumers. To that, I point you to the expensive lesson that Samsung has learnt — to this day it has not quite recovered from the stigma of exploding phones. It’s precisely the profit motive that serves the consumer; it is healthy, free competition that protects them against monopolistic prices and exploitation. Government regulation inevitably erodes the latter while misguidedly championing the former. If economic progress is something that we want, it is government intervention that we need to leave out of business. Indeed, be it taxis or telecommunications, the dire need for innovation and progress in our country is precisely why we cannot afford such “protection” for our companies. All we need to do is to allow the marketplace to function. The Lim Choon Mong whose 1957 Parliamentary quote was extracted above is wrongly identified as Workers Party MP Sylvia Lim’s father of the same name. This Lim Choon Mong (1919-2017) happens to be the then Liberal Socialist Party’s Legislative Assemblyman for Serangoon. He was part of the 1957 Merdeka talks contingent who went to London to ask for self-rule, was vice-principal of ACS and also helped establish churches and schools like PLMGS. Just died 16 Oct 2017 aged 98.